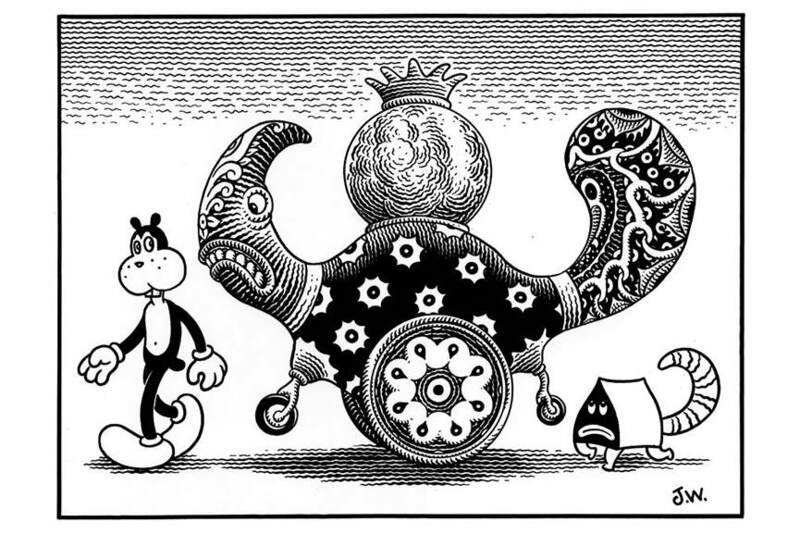 The Scott Eder Gallery, located in Brooklyn, New York have announced an exhibition of new drawings and paintings by the internationally acclaimed cartoonist and artist Jim Woodring entitled You Drive! 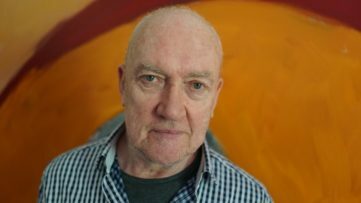 The exhibition will feature a series of recent paintings and charcoal drawings along with selected original art from his latest graphic novel, Fran. You Drive! 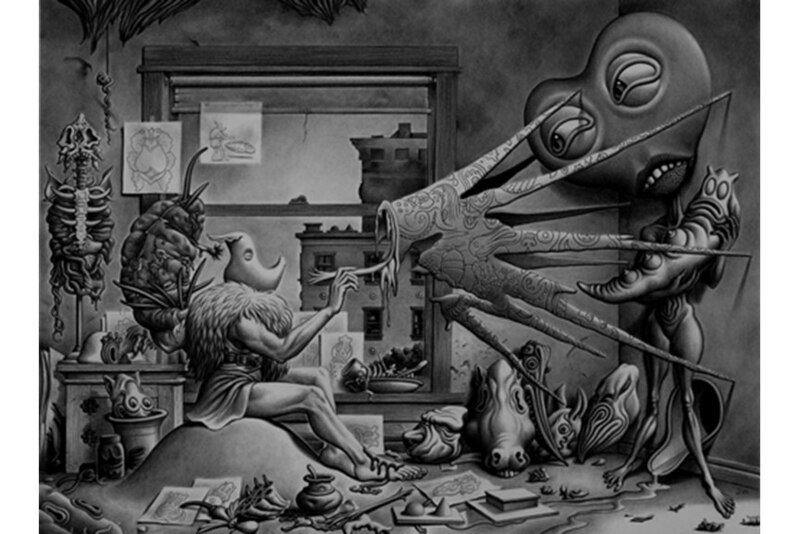 Is the second solo show by Jim Woodring at the Scott Eder Gallery and will focus on his major charcoal drawings and oil paintings that he has dedicated himself to producing since 2013 revealing new levels of depth and complexities in his wonderfully fantastical images. 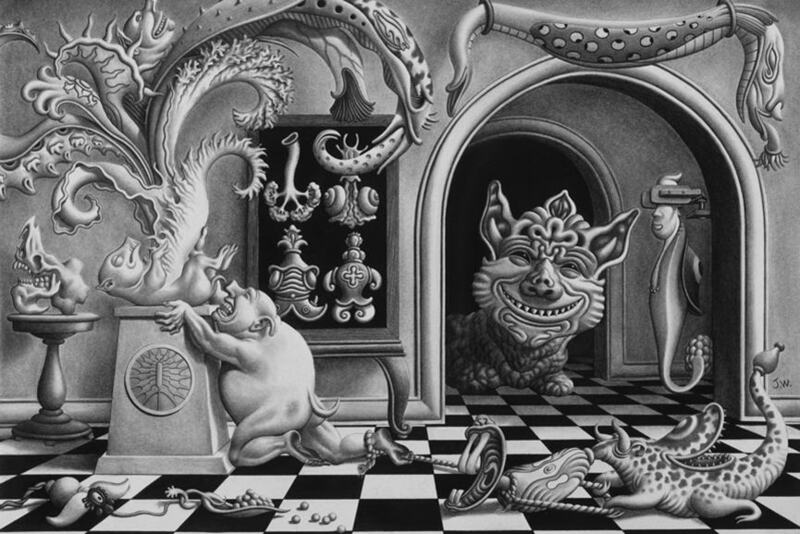 Jim Woodring was born in Los Angeles in 1952 and apparently grew up with a number of psychological and neurological difficulties, which, according to his website for adventurous spirits, included paroniria, paranoia, paracusia, apparitions and hallucinations that may go some way to explaining the tremendous scenes he creates within his work. 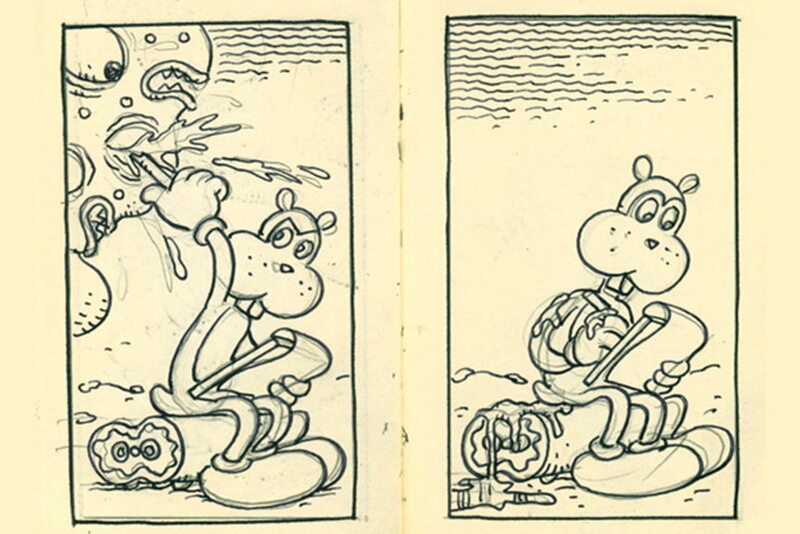 Self-taught artist Woodring worked his way through being a garbage collector to merry-go-round operator before eventually becoming a cartoonist. Early drawings appeared in underground publications before self-publishing the first issue of his illustrated auto journal, Jim, based on his childhood experiences. Picked up by Fantagraphics Books in 1986, Jim was published as a regular series out of which his most well known work emerged, Frank, a wordless surrealist series. Since then he has collaborated on a comic series for kids with Mark Martin, worked as a freelance illustrator and comic writer while some of his unusual toy creations were sold in vending machines located in Japan. 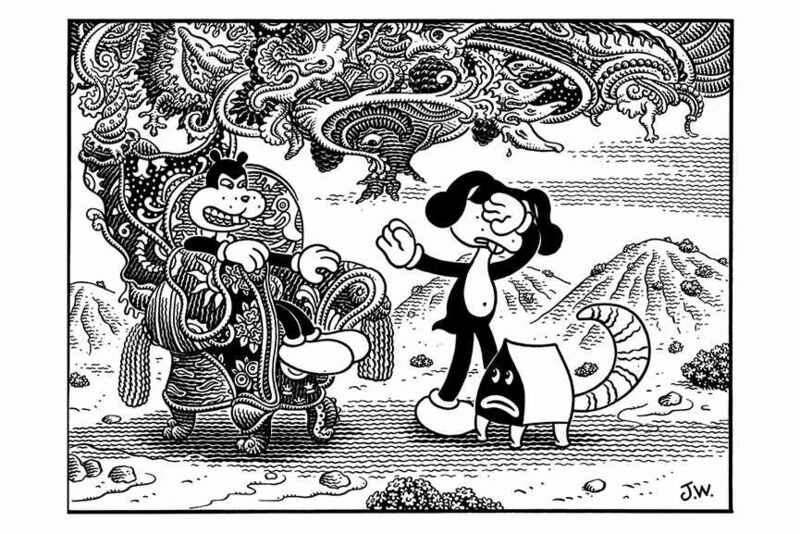 2002 saw Jim Woodring move into the field of painting with occasional forays into the comic world and the publication of his books. 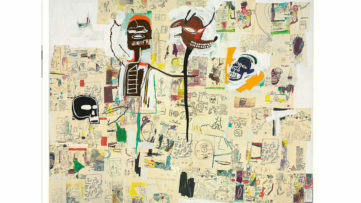 The move away from comics into larger scale works can only be a good thing for lovers of his mystical visions that come alive in bizarre worlds inhabited by unusual creatures that are straight from childhood dreams. 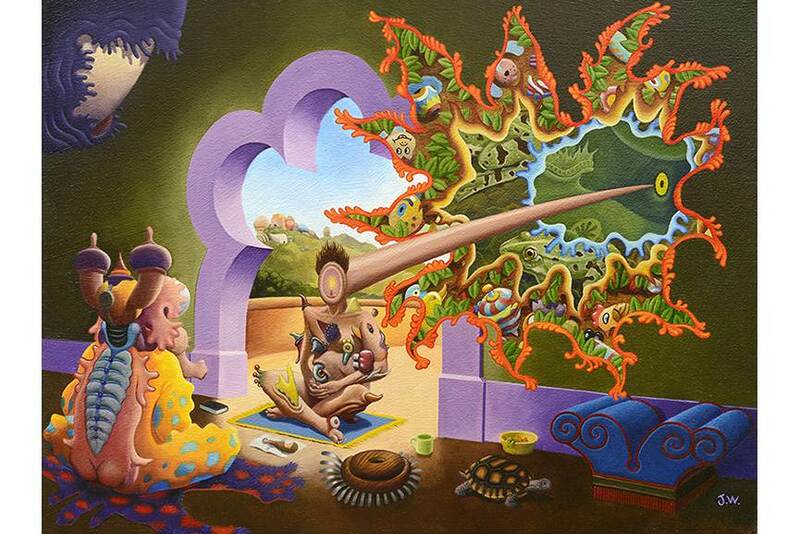 Jim Woodring works on impulse, ignoring the option to work in series or to plan certain themes, unexpected impulses are translated to canvas and paper as anecdotal picture puzzles and metaphysical fables that are designed to slowly draw you into the pictures, to get lost in the intricate worlds that have oozed from the mind of the artist. Frank is the cartoon character created by Jim Woodring that he is most associated with, described as a bipedal, bucktoothed animal of uncertain species, reminiscent of animated cartoon characters from the 1920s and 1930s. The images are usually rendered in a distinctive black and white, pen and ink style but occasionally rendered in bright colours. Frank follows the character on his travels in a world called The Unifactor, but never speaking and never with added sound effects. 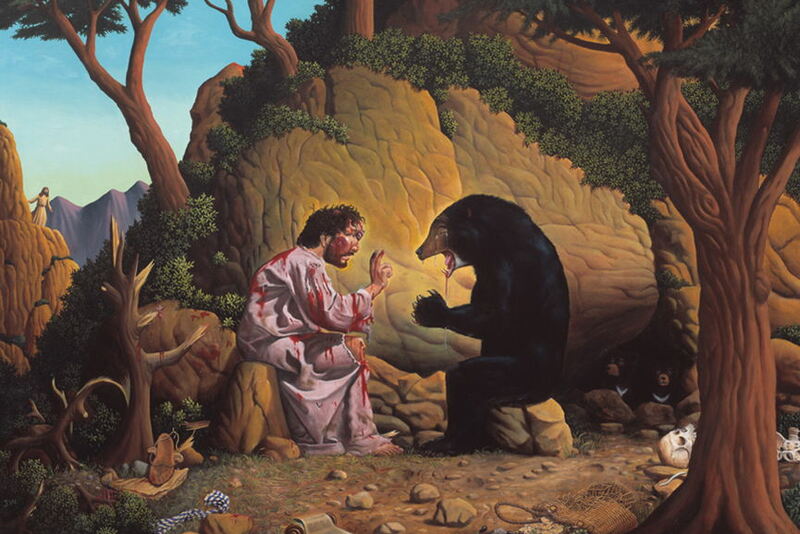 Woodring has stated the series is his most consciously and deliberately created work and certain themes do regularly appear such as shapes recurring and eyes playing an important role. The You Drive! Exhibition will feature original works from latest Frank graphic novel, Fran, published in 2013. You Drive! 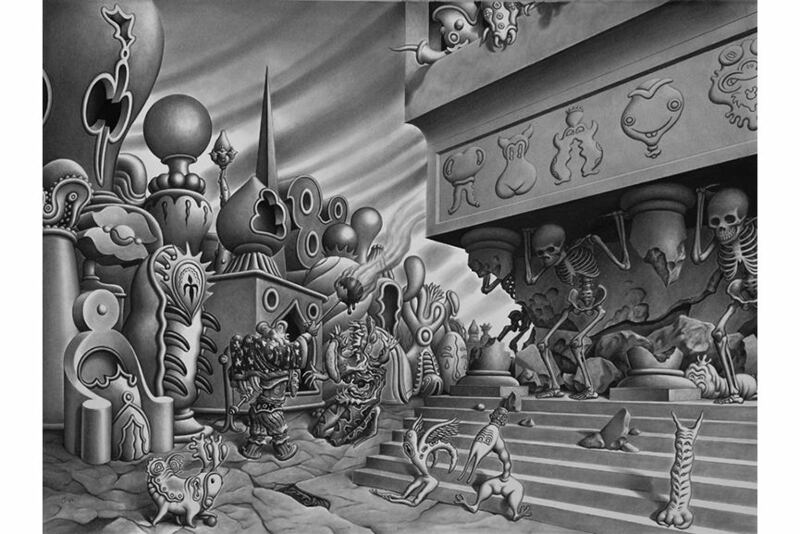 By Jim Woodring will open at the Scott Eder Gallery in New York with an artist reception between 6-8pm on January 10th, 2015 and the exhibition will run until February 27th, 2015. Books and two limited edition screen prints will be available to purchase during the show. For lots more fun and frolics in other worlds sign up to My Widewalls today! 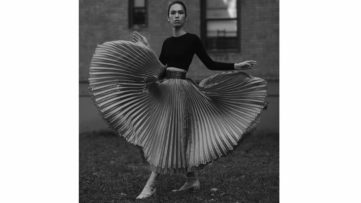 Photos courtesy of Jim Woodring.